After some green roof ideas? I’ve got five for you today! I’ve mentioned before that our new garden is essentially a tiny concrete yard. It’s all laid to slabs with a small border around the sides for plants. We’ve recently added a small bike shed to the space to house our bikes, and with it’s gently sloping roof I can’t help but think it would be perfect to build a green roof on to help inject a bit of greenery into an otherwise fairly barren space. It’s actually a bike store slash log store in what looks like a small concrete garden. You can see why it got my brain whirring! Found via Pinterest on Melissa Jolly. This bike shed is more in the style of ours. I love the use of alpine plants. 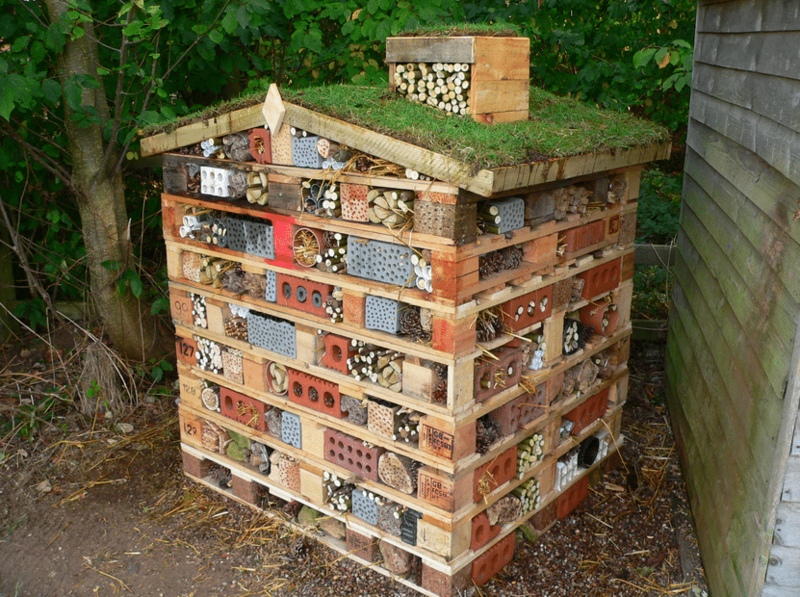 A bug hotel on a grand scale with a green roof (and even a green chimney!). How cool would this be in the corner of an allotment? 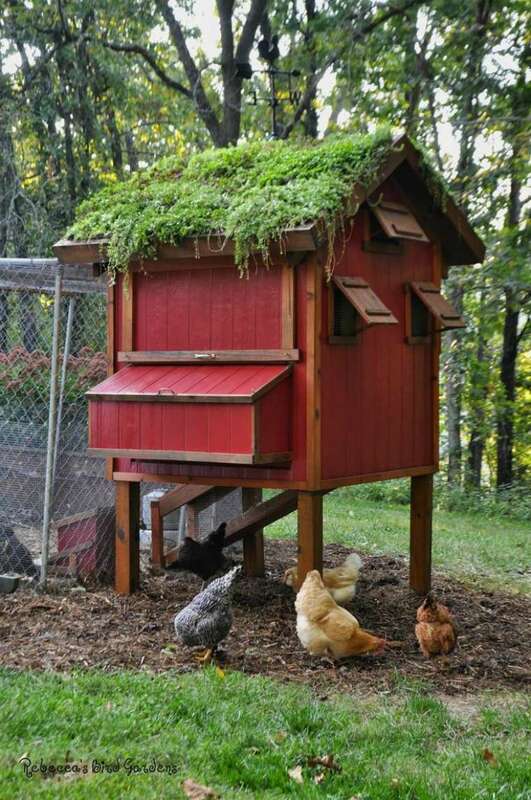 This chicken coop with a green roof is beyond lovely! 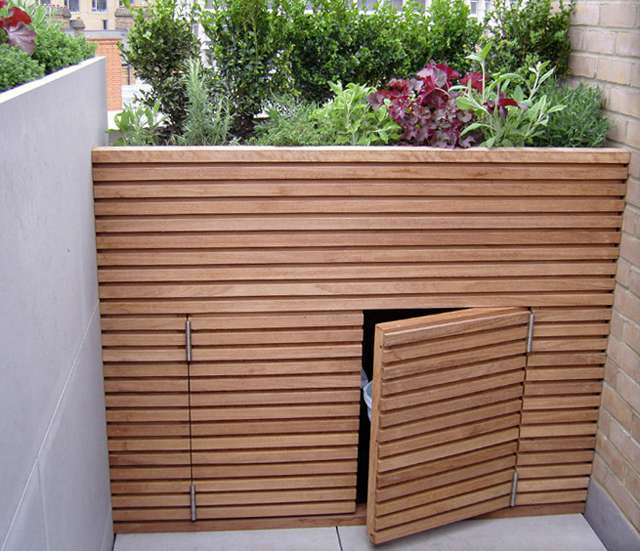 This is a clever and bespoke way to hide your bins, and a great way to incorporate a green roof into a small area. 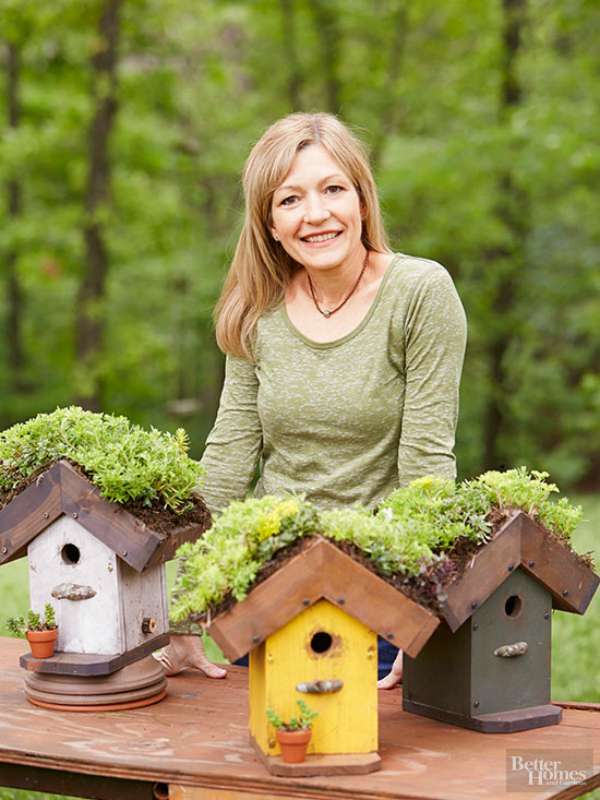 Finally, in the last of my green roof ideas, adding a green roof to a bird house or feeder is a great way to add some greenery if you don’t have any outdoor space at all! 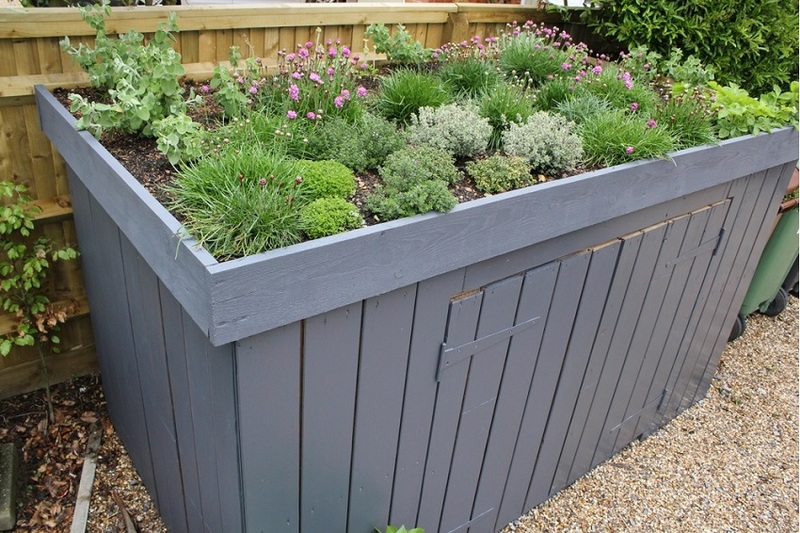 The best this is that as well as bring greenery into a small space, green roofs are great for the environment and can be fairly cheap to install. There are a couple of things to consider when you’re building a green roof. You’ll need to consider whether your structure can take the weight of the green roof (as well as the weight of the water that the soil will hold when it rains or when it’s watered) and you’ll also need to consider drainage issues. 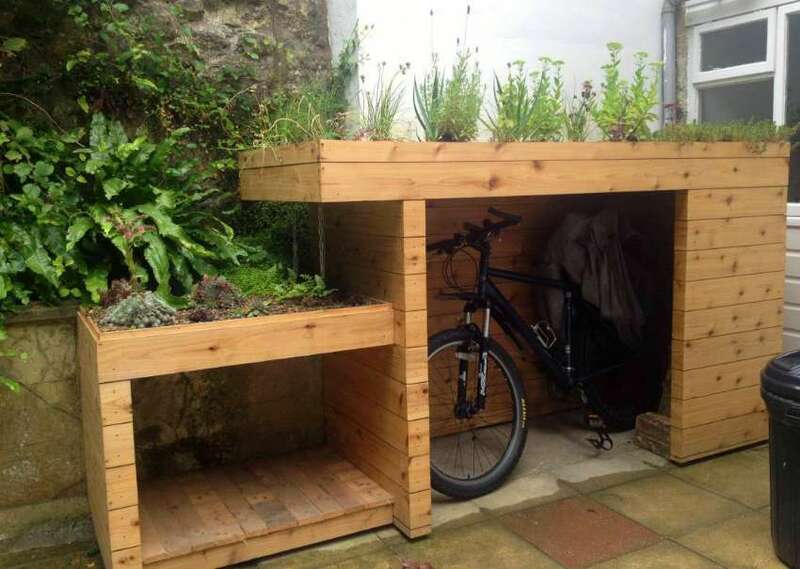 I think we’ll need to reinforce our bike shed if we do go down the green roof route. We didn’t spend a great deal of money on the shed and let’s just say it’s a little on the flimsy side! Do you have a green roof? Tell all!